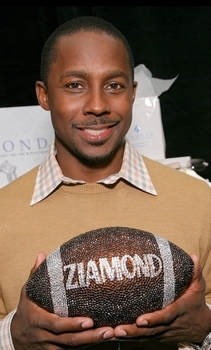 NFL player, Desmond Howard, visited us at Ziamond Cubic Zirconia CZ Jewelers and the collection of the finest gold and platinum jewelry. Ziamond Cubic Zirconia CZ Jewelers features many styles and designs for every lifestyle and budget, in addition to custom design services. All Ziamond cubic zirconia jewelry is set in the same diamond quality settings for a fantastic finished product.